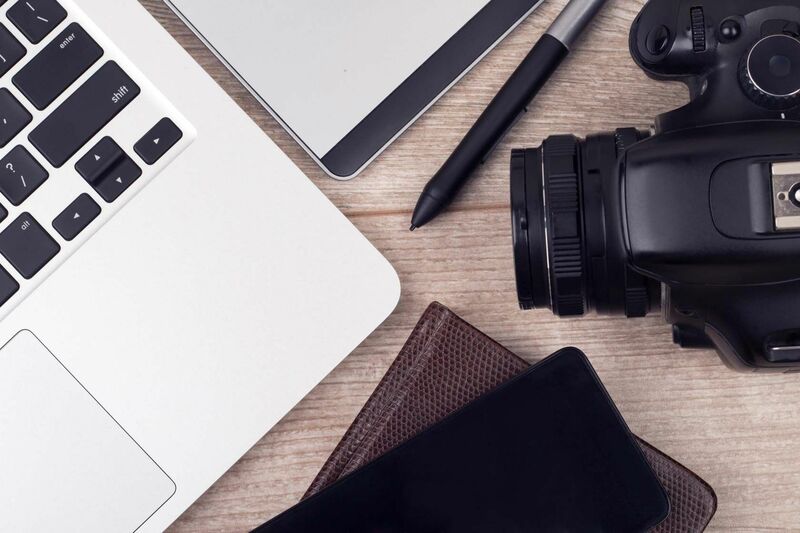 From photography tips to graphic design and music production, this is where you’ll find tips, software, and tutorials related to the creative arts. Tired of a short-lasting camera battery? It might be that you’re making a few costly mistakes. Here are a few tips for squeezing more juice out of your DSLR battery life. Showcasing your best work via popular online communities can land you the dream job you’ve always wanted. Writers aren’t the only ones who suffer from “creative block”. What can you do to rekindle your creative fire? Here are five easy things you can try. If you’re a photographer, your education doesn’t stop at the camera. You need to post-process if you want the best possible results. Here are eight free lectures to get you started. Iterating through designs is a time-consuming process. These collaboration tools will help ease up those bottlenecks and get your work done in record time. With slow motion footage, we can witness never-before-seen details in events that we usually take for granted. Here’s how to make such videos yourself. Whether for your website, band, book, or social networking brand, if you want to succeed, you need to get the logo just right. Here’s how to make one. One effective way to learn digital art is watching live experts draw and teach in real time. Did you know that Twitch.tv has a category dedicated to Creative Arts? After graduating from a kit lens, you’ll need to decide between a prime lens and a zoom lens. But what exactly is the difference? Which one is better for you? What Is Monitor Calibration, and How Will It Make Your Photos Look Better? Calibrating a monitor ensures that colors are displayed accurately, as well as consistently across every display, even when printed. Instagram is not just for selfie lovers. It welcomes all kinds of photo enthusiasts into its fold. Today we bring you a selection of eight amazing Indian Instagrammers. These simple tools will allow you to create your own fonts for free, even if you don’t have any prior graphic design experience. Uneven landscape photos getting you down? Get a balanced exposure without resorting to HDR using exposure blending — here’s how. At its core, the camera flash is a simple piece of technology that’s deceptively hard to use well. Macro photography is fascinating, but macro lenses are expensive. Fortunately you don’t need to spend a fortune to try it out for yourself. A house is replaceable. An infection is curable. Hunger is satiable. A lost history is none of these things. It might not be a digital SLR, but your smartphone is punching well above its weight when it comes to photography. The next time you go out, leave your old point and shoot at home. Can A Video Game Jump Start Your Next Rewarding Creative Hobby? Whether it’s music or art, video games can teach and motivate you where other learning tools fall flat. If photography is about capturing light, how do you take photos when light is scarce? With so much footage available, you should grab a decent video editor and set to work recycling that old footage. Is Your YouTube Cover Song Legal? A popular method for those desiring a quick-and-easy rise to stardom is by posting cover songs of popular music on YouTube. But consider this: what are the legal ramifications of covering a song?